Ice Skating, Tree Lighting and the Polar Express Offer So Much Fun for Everyone! 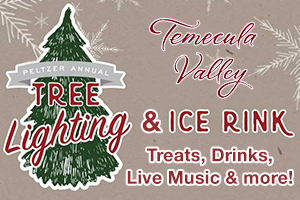 Peltzer Farms in Temecula is the place to be this holiday season! Get ready to practice your figure eights at the full-size ice skating rink, which will be open November 16th through January 6th. Enjoy delicious treats for purchase, or grab a drink at the Blacksmith Bar. Admission includes a pair of skates! Don’t miss even more family fun at the Peltzer Annual Tree Lighting on November 24th. This special event from 11 a.m. to 10 p.m. will include food trucks and wine, the Polar Express, an appearance by Santa Claus himself, live music, and shopping at the Makers Holiday Market. 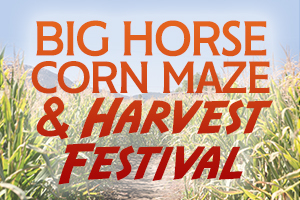 The Big Horse Corn Maze & Harvest Festival Runs until October 28th! It’s one of best fall traditions around! Bring the kids for a fantastic adventure at the Big Horse Corn Maze and Harvest Festival in Temecula! The Big Horse Feed & Farm Supply hosts this annual festival, which features the largest corn maze in Southern California, with 11+ acres of good old-fashioned fun! Tons of family activities and attractions include a pumpkin patch, pony rides, hayrides, rock wall, face painting, gem mining and more! Everyone will have a great time, so come on out! 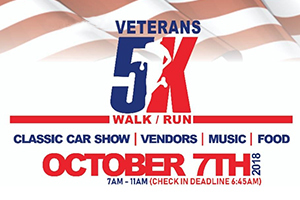 Show your support for deployed troop and veterans, and wear your red, white, and blue to participate in the Veterans 5k Walk/Run on October 7th. The family-friendly event is a 5k run/walk starting at Mt. San Jacinto College; you can run or walk at your own pace and just have fun! Registration includes a medal, t-shirt, swag bag and online access to pictures. Enjoy vendors, music, and a classic car show after the race. Check-in deadline is 6:45 a.m. and the race begins at 7 a.m. All proceeds support military families, deployed troops, and veterans through the nonprofit Valley Resource Center.